Your wedding day is the most important day of your life. Those photos you will cherish forever and probably look at every day (well, for the first year at least!!!) and you will want to be proud to show them off. Teeth whitening is a superb way to ensure dazzling teeth on your big day. We have a number of options available including Zoom tooth whitening in just 1 hour or take-home Enlighten customised trays to allow you to whiten in the comfort of your own home. Or do you have a chipped tooth or gaps between your teeth that you are unhappy with? Simple, pain-free, minimally invasive composite fillings could change your smile completely in just one appointment! This video from our Youtube channel shows an extreme comedic example of the problem with loose dentures at a wedding and how dental implant treatment can help you to replace missing, loose or failing teeth with beautiful fixed implant restorations. The list is endless. 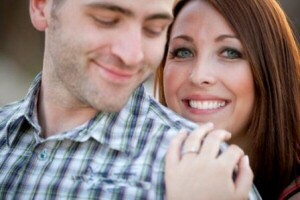 Come in for a FREE consultation to see how you could improve your smile in time for your big day. This is just how a few of our patients did just that! 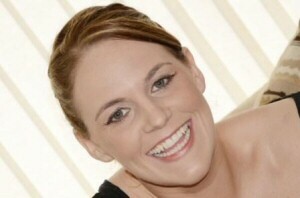 “I was having my regular check-up when the option of teeth whitening was suggested to me. I must admit it was something I had considered before but never thought I could afford it and also didn’t really know what was involved. However, it was a few months before my wedding so I thought it was the perfect opportunity to look into it. All of the different methods were explained to me and the costs and I was surprised that there was an ‘at-home’ option so I chose to do that. It was so easy and I saw the results after a very short while. I am so thankful to the team at Confident for suggesting this to me, for their professionalism and care in getting me started. Having my teeth whitened has really made a difference to me, especially in my confidence and I look great in my wedding photos. Many thanks again”.